Add a pet name to the heart on the card. Just tell us at checkout using the Order notes field. 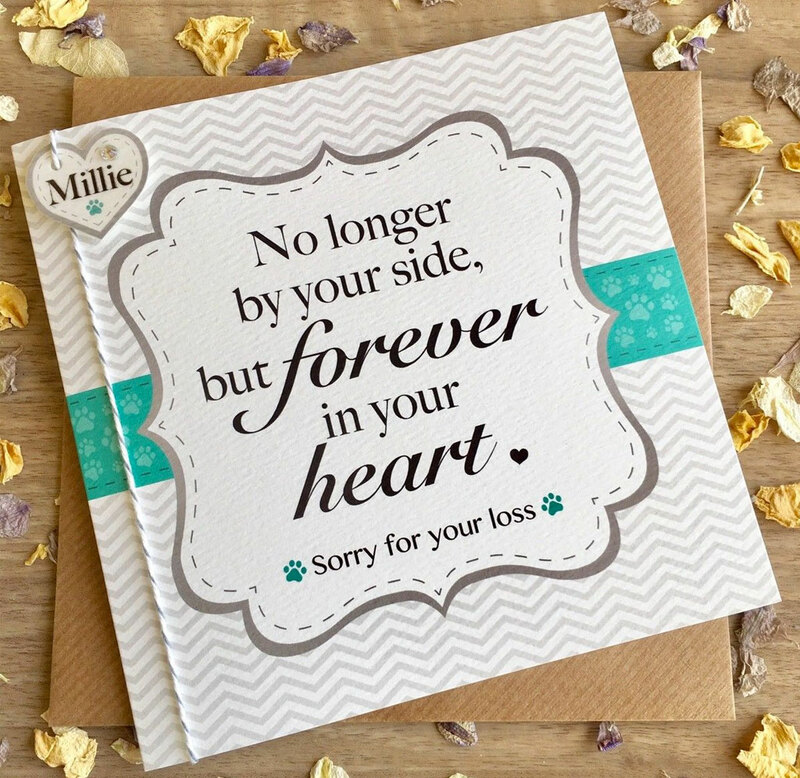 Losing a much loved pet can be an extremely sad and difficult time, this card is to let someone know you are thinking about them on such a sad occasion. 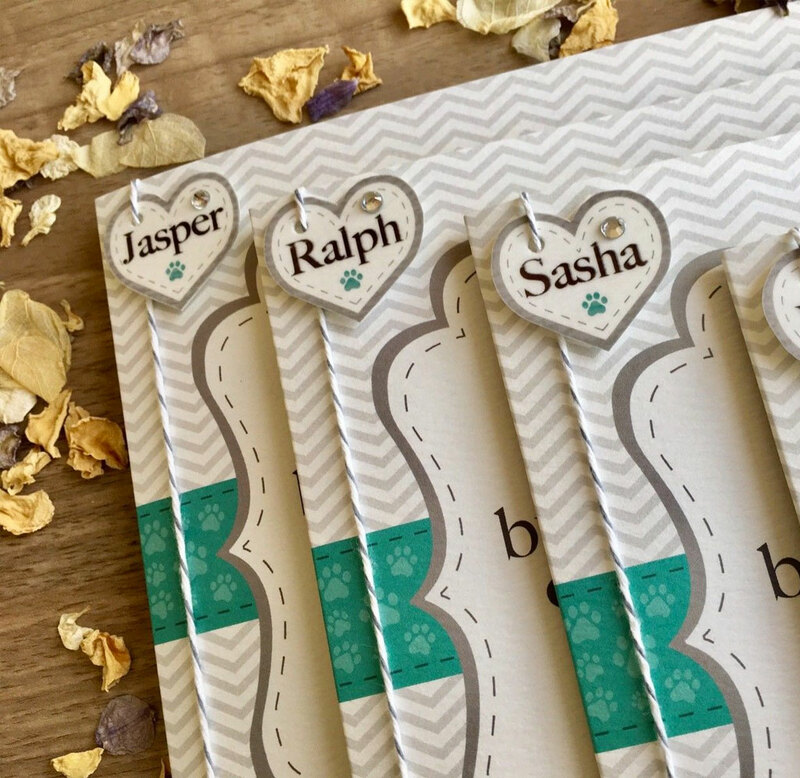 Personalised with the pet’s name in a heart, complete with a little gem and attached to the card with grey and white twine. Please let us know what pet name to add when ordering. You can add it to the Order notes at checkout. No longer by your side, but forever in your heart. 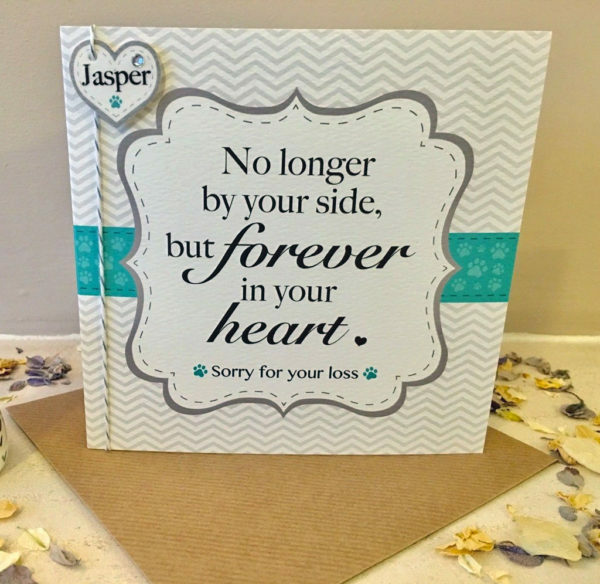 Sorry for your loss. 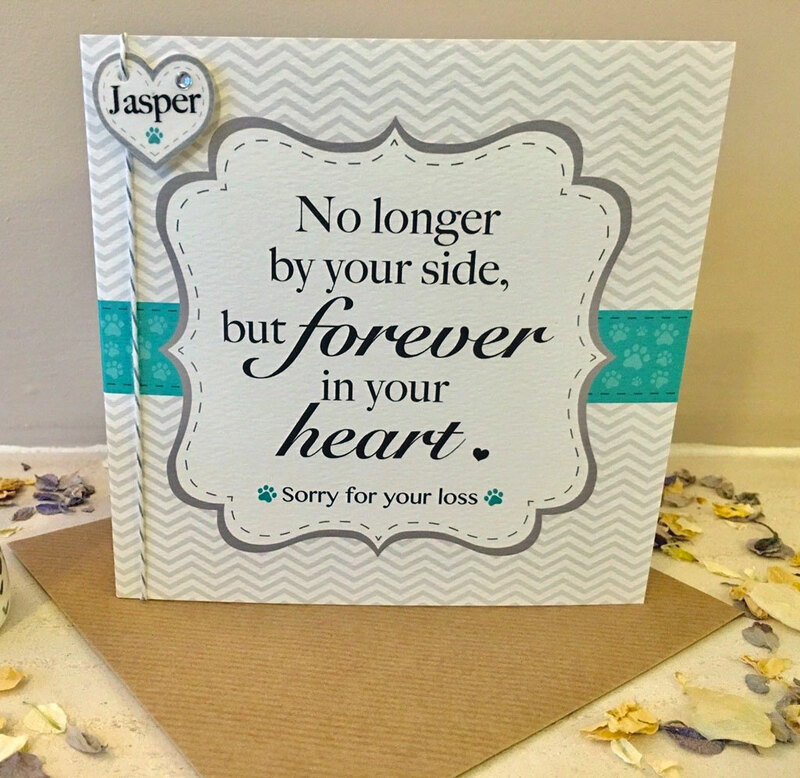 Inside of the card is left blank for you to hand write your own personal message.